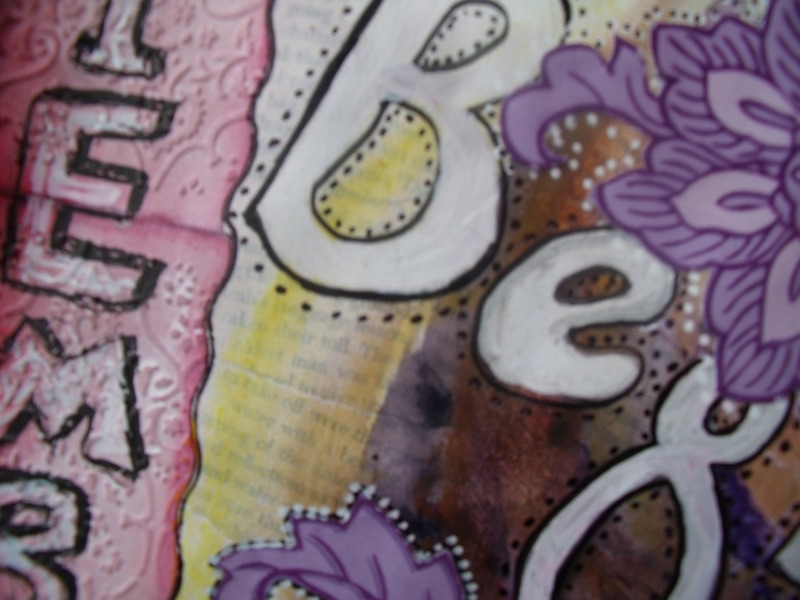 This entry was posted in Art Journal, Creations From My Craft Room, Creativity, Doodling and tagged art journal, Drawing, Oil pastel, Pencil, Visual Art, Watercolor painting by thecontentedcrafter. Bookmark the permalink. The flowers were an inspired placement 🙂 I need to do this one again and get ‘her’ right …. Hi Pauline! Your flower crowned beauty is well…Beautiful! I love her flowing locks. Let me be the first to wish you a happy birthday this week. Glad to hear you received the best kind of happy mail–art supplies! 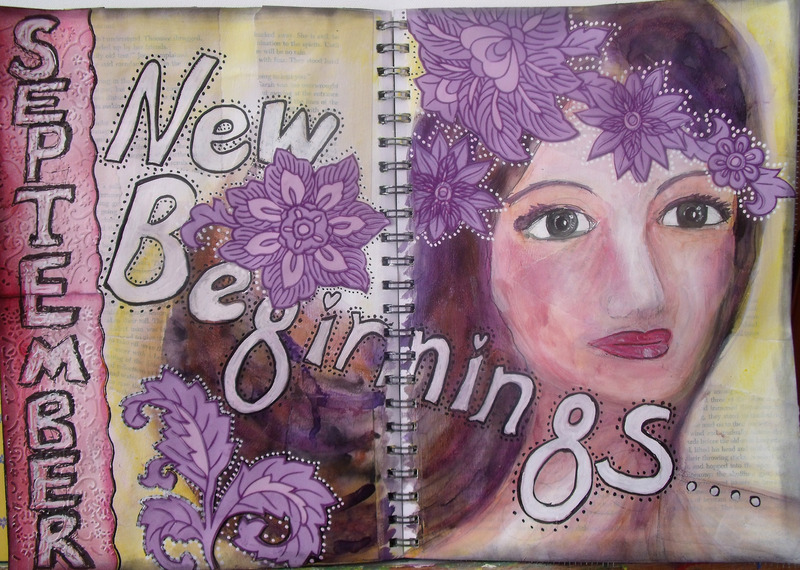 New beginnings are so exciting and I wish you well! Thank you Katy – I have made myself extremely happy with that little purchase! Now to find the discipline to NOT use them all at once ….. 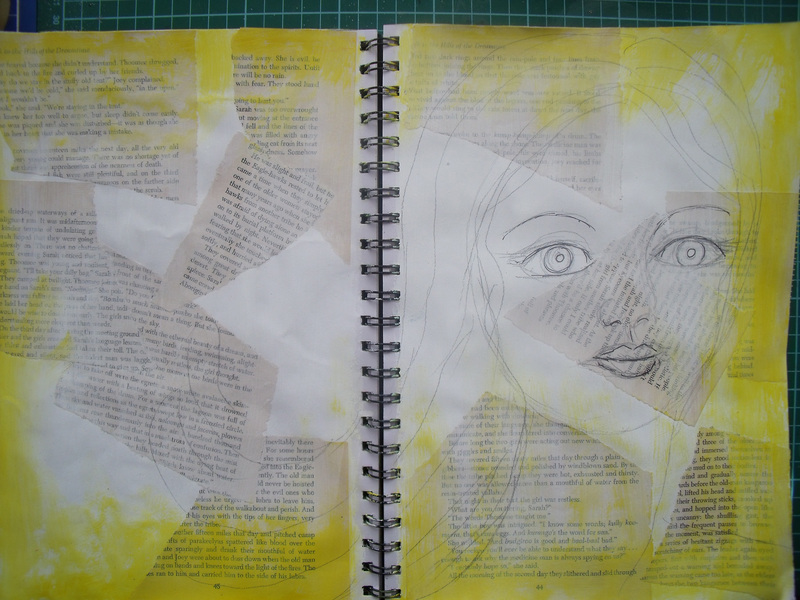 Thank you Patricia, yes, the bag of tricks comes in handy now and again – and I remembered this morning how, as a little girl I was so drawn to yellow and purple I endlessly filled in my colouring books with different amounts of the two colours, finding some more satisfying than others ……. and as an adult would never go near it! 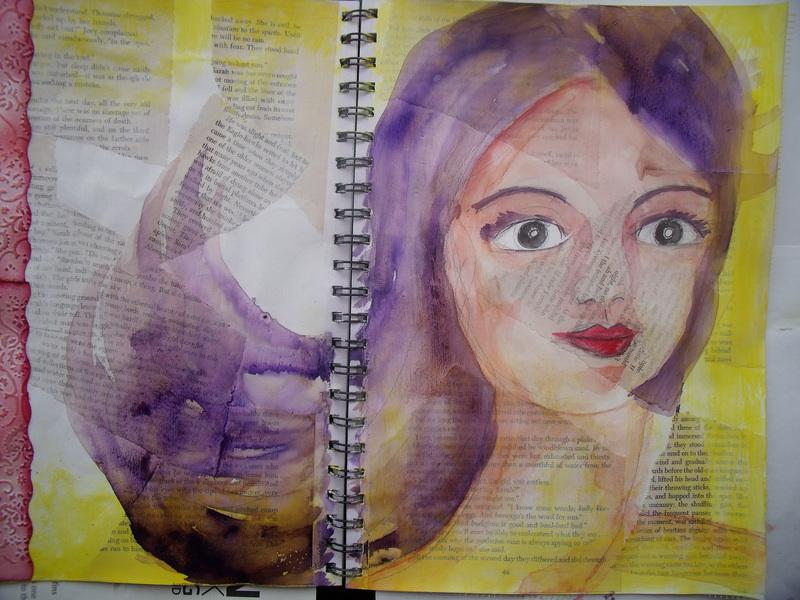 And this is certainly the first time I’ve used the two in my art journals. Perhaps I am about to enter second childhood Lol!! The end product is really nice! And different from the second shot. Did you do it all over from scratch or you modified until you got to that point? The face looks sooooo different like its 2 different people. But thats the best thing about art right?! One little change and its a completely different thing. Great job as always! Do you know where the word comes from and why it refers to a birth day? How lovely to see you over here 🙂 Yes, my pondering and reflecting is done and I am ready to spring!! But you know, in six months time I’ll be just as ready to get those sweaters out and start reflecting again …… Don’t you just love the cycles of life!! Thank you Annie! 🙂 It’s just like Christmas – I can’t wait to get my chores done so I can start playing…. She’s fabulous! Love the flowers in her hair. 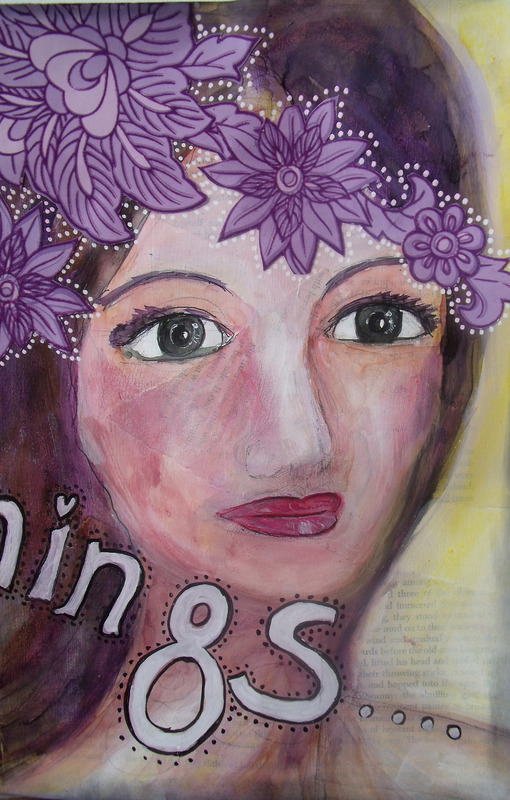 Thanks for your kind comment on my blog ~ hope you enjoy your new journals! I love watercolor paper the best, and manila c/s too… enjoy! Spring! It was 110 degree heat index here today. It’s still 85 at this hour. I hope you have a fantastic birthday and I hope Orlando plays some great music for you. Maybe you’re about to live in an eternal summer ?? What hour is it? It’s 11:37pm now, starting to cool a bit. Its 4.37 pm Sunday 1st Sept here – I have such difficulty picturing where people are in their days- I think you are still in my last night and that is far too warm to sleep in – I wouldn’t do very well in that kind of heat!